This guide offers a selection of day walks, mountaineering routes, via ferratas, rock climbs, mountain biking, road cycling and treks for a multi-activity holiday in the Haute Maurienne, in the French Alps. Easily accessible, with the Vanoise National Park to the north, and the Écrins to the south. Idea for multi activity holidays. 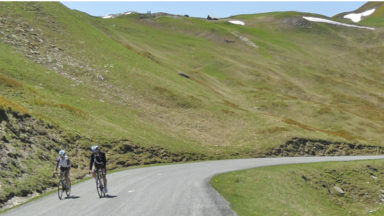 rocky summits towering over small Alpine villages and the highest cols guarding the valley's approaches; follow in the (possible) footsteps of Hannibal; reach the summit of Dent Parrachée; two-wheeled and roped adventures add adrenalin sport opportunities for a 'mix and match' visit! 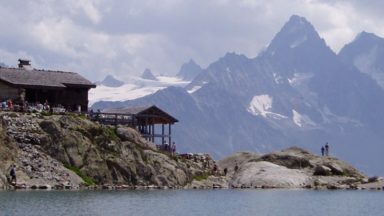 The Vanoise massif is a beautiful range of mountains bounded by the valleys of the Maurienne and the Tarentaise. The Maurienne valley is over 60km long, towered over by peaks of staggering symmetry straight from a child's drawing of mountains.Many figures from history and mountaineering legend have trod throught its forests and along its ancient track; yet the valley is somehow forgotten, despite having been at the heart of the early days of Alpine exploration. Now is the time to rediscover the Maurienne. The Haute Maurienne valley is perfect for a whole range of alpine adventures and activities. The routes in this guidebook range from short walks and cycle rides for the whole family to long mountaineering routes to the highest summits. Whether you and your holiday companions are adrenalin junkies or Alpine ramblers, or a mixture of both, there’s plenty to keep everyone happy, day after day. Routes are clearly described and illustrated with maps, topos and profiles, as well as inspiring photos of mountain-lovers in action among the Alpine scenery. The valley offers some of the finest modern via ferratas in France, routes specifically designed for sport, with reliable and well-maintained equipment taking direct lines up soaring cliffs and into the deepest gorges. 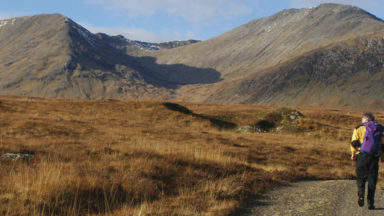 Walks and scrambles allow real summits to be reached from the valley in a day, with views reaching to the highest giants in the distance, and mountaineering journeys allow the highest summits to be reached without tackling glaciers. 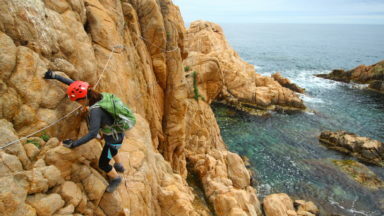 Plenty of rock climbing venues cater for everyone climbing from V Diff through to the higher E grades. 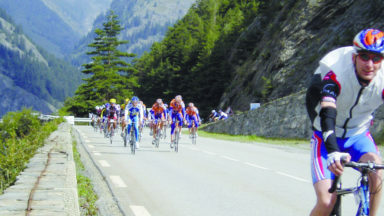 Cyclists will find themselves surrounded by Alpine giants familiar to any Tour de France followe, Col ded l'Iseran, Col du Galibier and Col de la Croix de Fer amongst them. 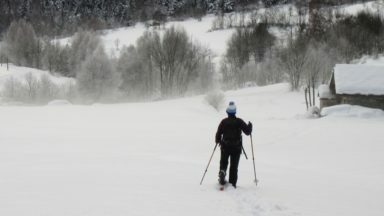 Nor will mountain bikers be disappointed, with waymarked trails threading through forests and ski lifts to take the sting out of long climbs. The French IGN ‘Top 25’ 1:25,000 maps are excellent. They identify the main paths in easy-to-see red, and more difficult sections are marked as red dots. They are sold at supermarkets and many other shops and cost around €9 each. Alternatively, they can be purchased online before you visit and there is now the option of a laminated version. (This isn’t available in France, just in the Aqua3 online map shop.) Termignon is one of those places that is on the join of three maps, so three maps are needed to cover the whole area. An alternative is the 1:50,000 map (the Carte de Randonnées A3: Alps Vanoise) which clearly identifies waymarked walking routes, climbing sites, via ferrata venues and mountain bike areas. The most recent editions of these maps show the extent of glacial retreat in a different colour. If you are bringing a GPS, ensure it is programmed to datum WGS 84 and the grid system to UTM/UPS otherwise all grid references will be inaccurate. Don’t forget to reprogramme it to UK settings on your return or the same problems will occur back in the UK. Unlike the UK, paths are waymarked and signed to a high degree. The signage usually gives information in times rather than distance, and these seem to be calculated with a similar formula to Naismith’s Rule of 5km per hour. The red-and-white flashes on rocks, walls and buildings will become familiar friends, and the small cycling symbols will also be a welcome aid to route finding. Andy Hodges was born in Wigan in 1967. He has been enjoying adventures in the outdoors since joining Cub Scouts in 1976. Learning to read a map and being allowed to tackle adventures were instrumental in nurturing a life-long love for mountains. His student days allowed extended visits to the Provence region of France where he became a modern sports climber, while a summer holiday job saw him leading walking groups in the UK hills and mountains. 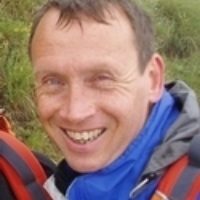 He has been a volunteer member of Mountain Rescue for 23 years and is part of the Hasty Team, a fell running element of the rescue team.